Queenstown Golf Course Design by Lindsay Bruce Erving, Inc.
©2002 Lindsay Bruce Ervin, Inc. 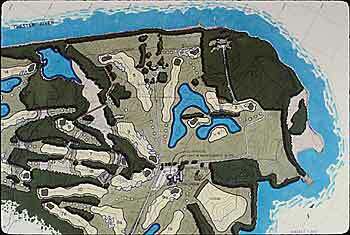 The initial 18 holes were completed in 100 days from the start of construction with the final 18 opening on August 1, 1994, making this one of the few 36-hole public course complexes in Maryland. For the entire project Lindsay Bruce Ervin, Inc. 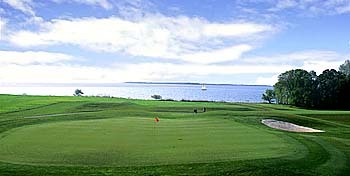 Golf Course Design provided master plan design, construction document design and construction inspection. The River course was ranked the second best public course in Maryland and the sixth best overall course in Maryland by Golf Digest in 1999.